Promax is the leading manufacturer of signal test and broadcast distribution equipment. Their TV & Satellite signal spectrum analysers have been miles ahead of the competition for many years. 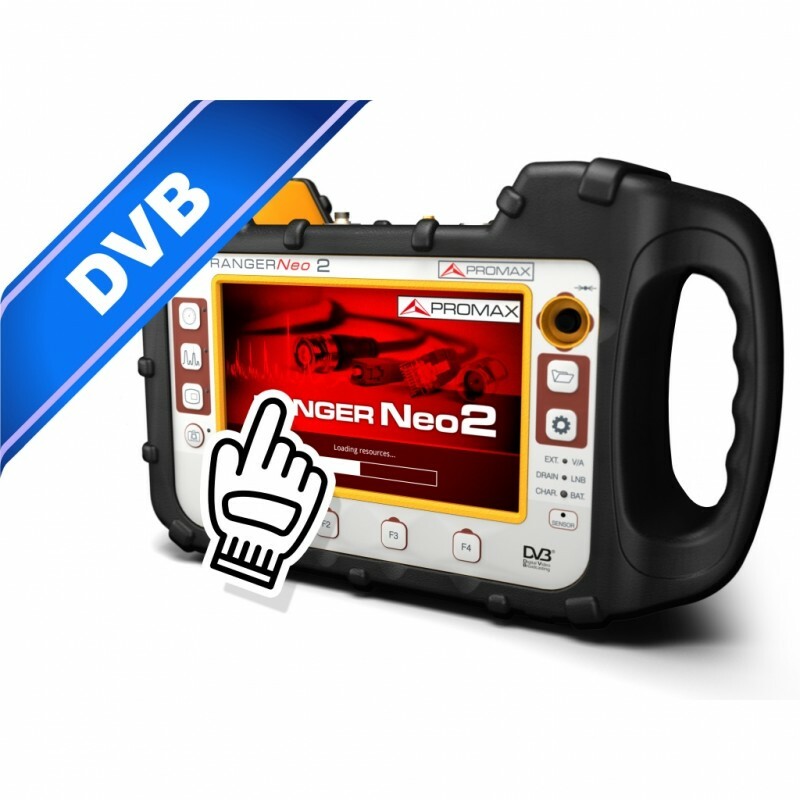 RANGERNeo2 features all RANGERNeo+ functions (including all second-generation DVB standards) plus IPTV input, Common Interface (CAM) for encrypted channels, HDMI interface and TS-ASI input/output. One of the most noticeable and stunning features on the new RANGERNeo 2 product is the ultra fast spectrum analyser. As soon as you use the analyser you will experience this outstanding feature as one of the major changes we have adopted in the new product allowing you to sweep faster and more accurately. The introduction of the latest technology within the product allows you to display multiple screens either overlapped together or in a 7” split screen format. Optical measurements and 3 GHz band extension can also be included as an option, thus converting the RANGERNeo 2 in an all-purpose field strength meter. It includes touch screen with hybrid control system (touch screen + buttons). Click the button below to add the Promax Ranger Neo 2 Touch Screen Field Strength Meter to your wish list.